Declared of touristic national interest. 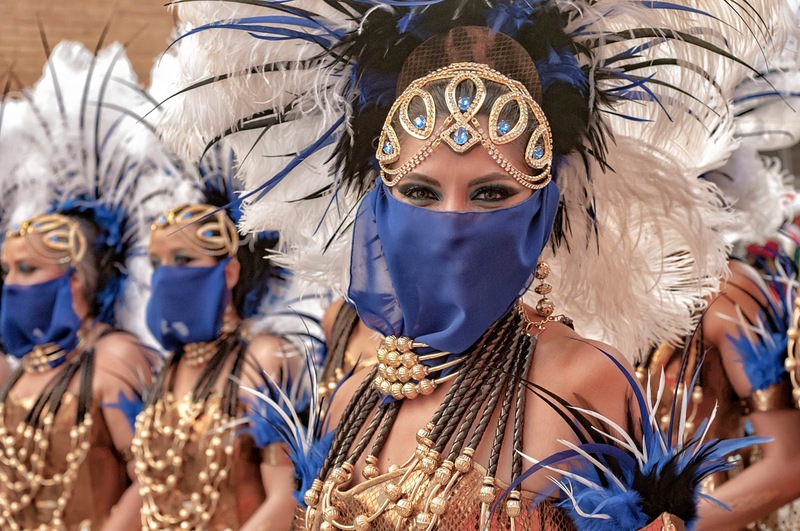 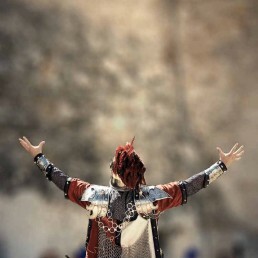 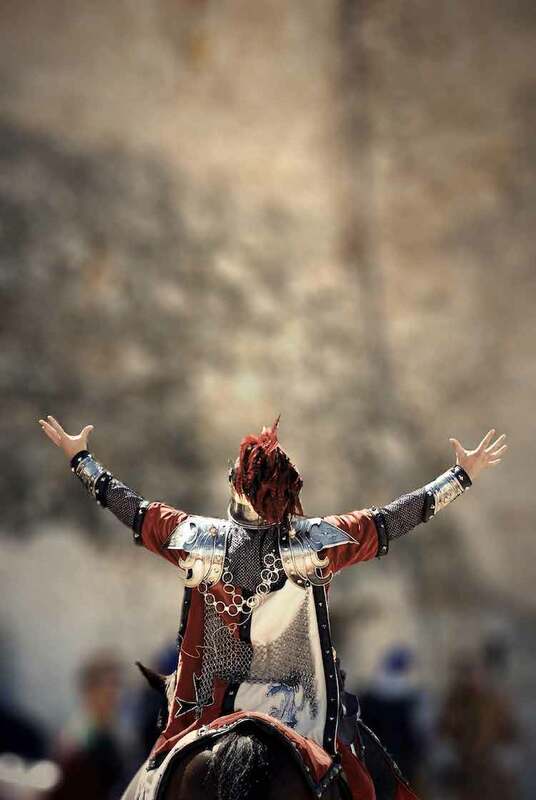 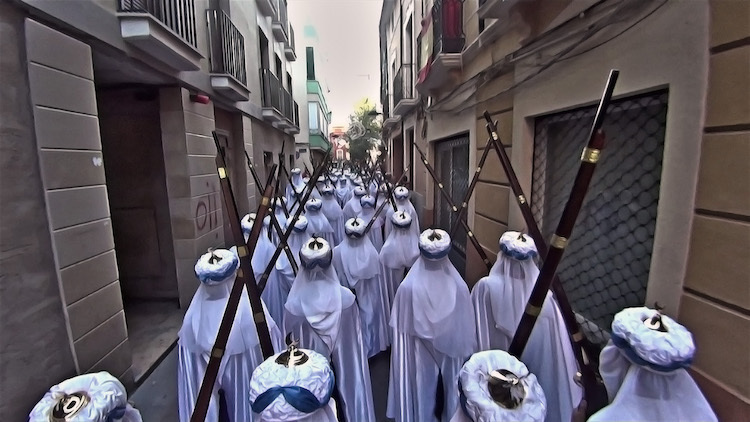 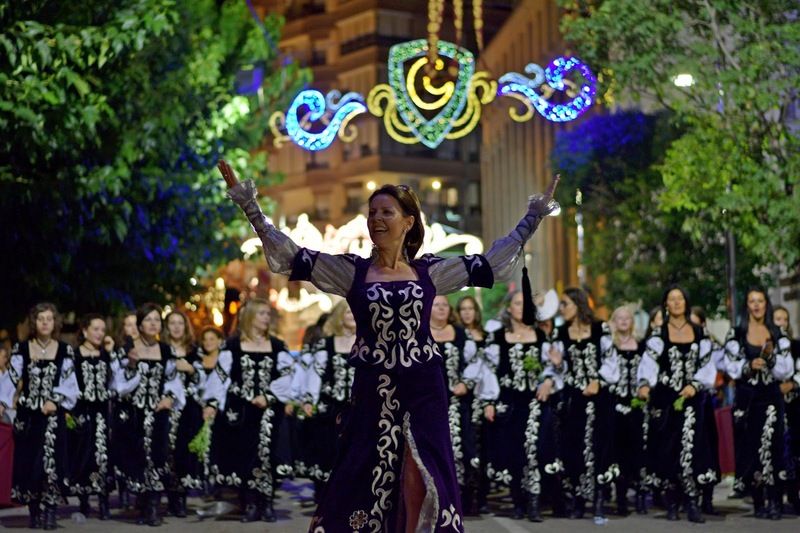 It is based on the most participatory festival of Moors y Christians that exist´s with more than 12.000 people. 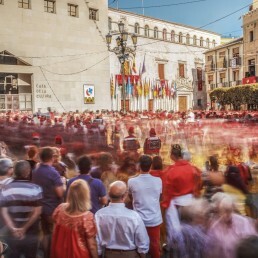 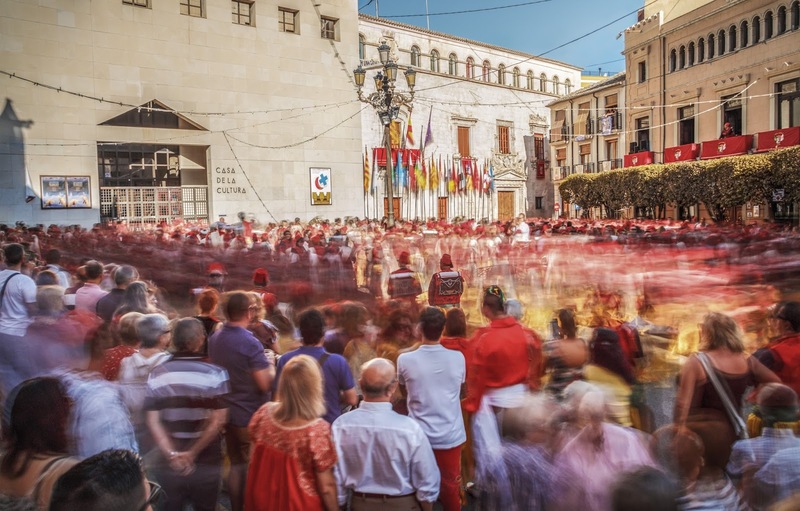 In Villena every year there are fourteen troops, seven Moroccans and another seven Christians, they last five days, and fill our streets with music and colour. 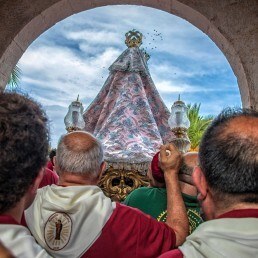 The beginning it picks up the final part of the XV century, when the Virtude’s Virgin was proclaimed the patron of Villena and saviour of the plague. 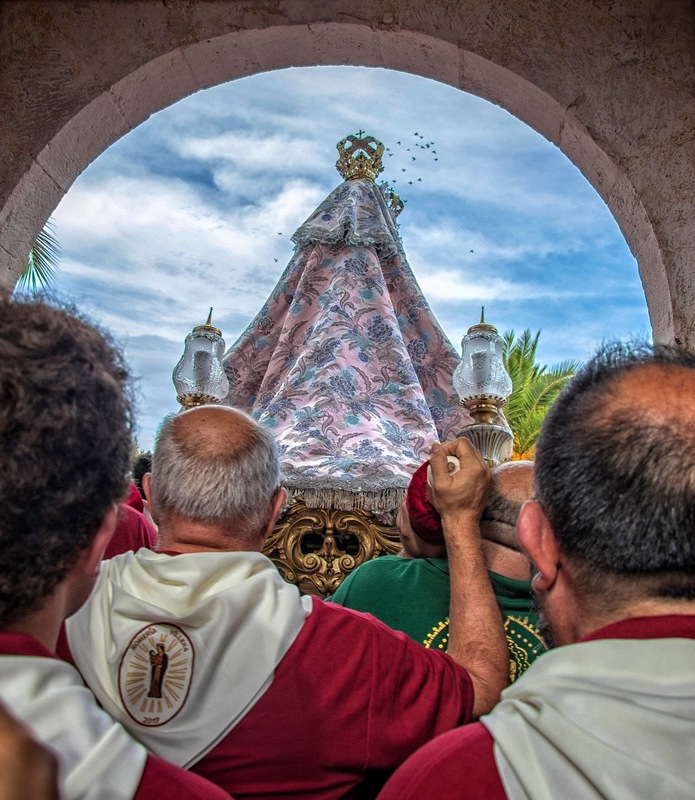 Its image was collocated in the sanctuary constructed 7 kilometres away from the village, the habitants use to go twice a year, once in March and again in September. 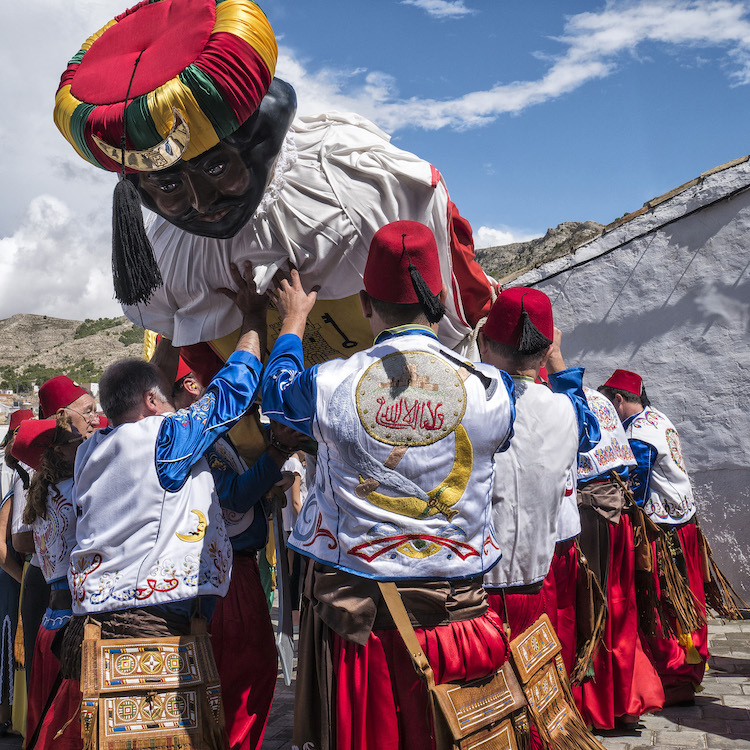 Actually it`s the image of the patron which is moved in to the town in the final part of August to preside over her party in her honour. 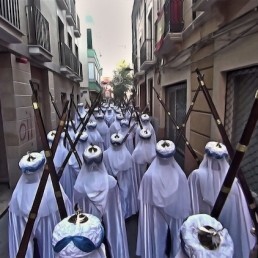 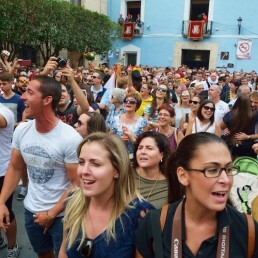 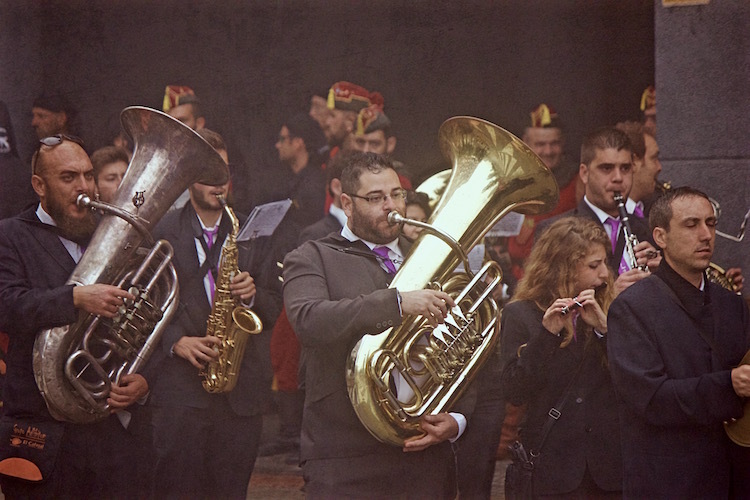 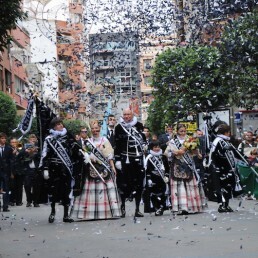 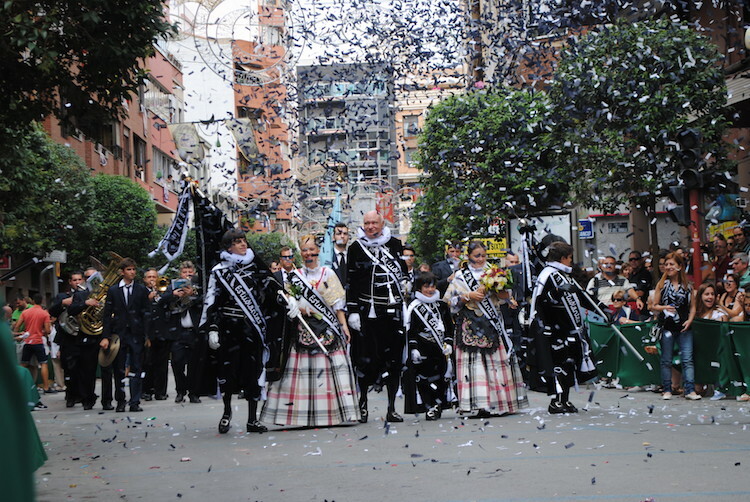 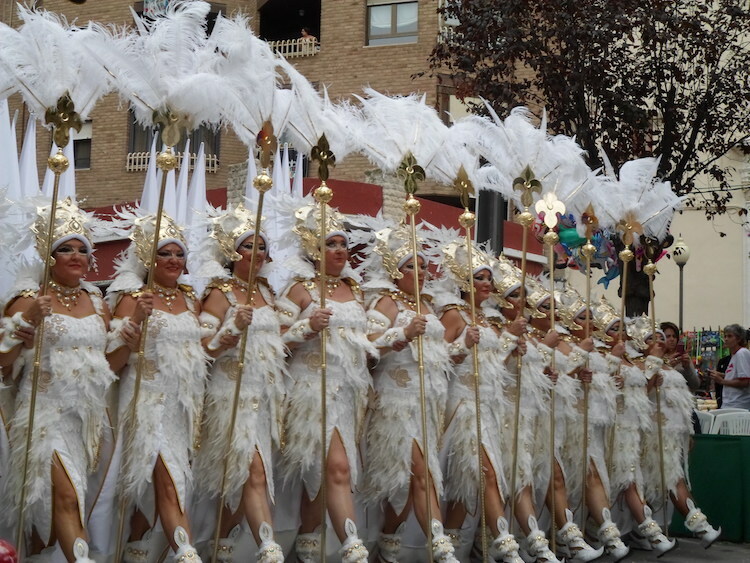 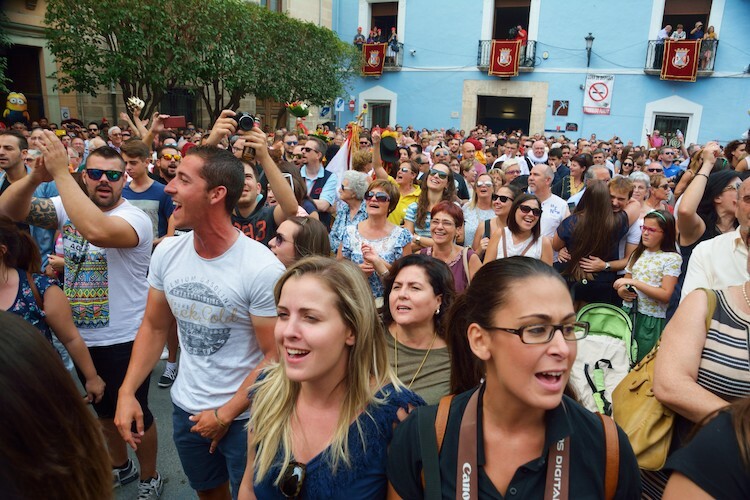 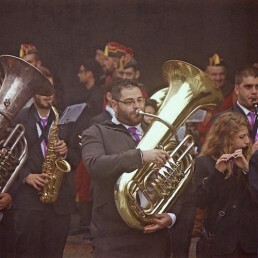 In the party of Villena, particular parades stand out like the entrada (the entrance parade) and the Cabalgata (the night parade) where all the festeros (person who goes in the parades) participate with the rhythm of the music composed specially for the parades. 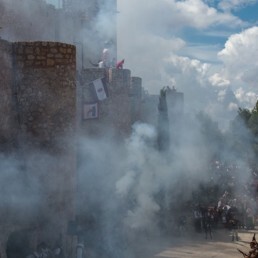 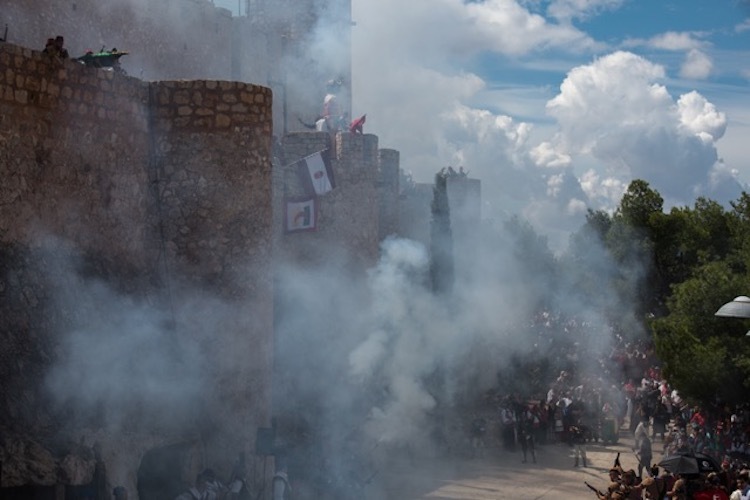 Without forgetting the “Embajadas”, the guerrillas, that are represented in the magnify scene of the Atalaya´s castle; and acts are more solemn and emotional like the procession or the offering, of the circulate the flags.